2015 LWHRA Symposium registration closes at midnight tonight! While onsite registration will be available, seize this last opportunity to take advantage of online registration prices, and join us for a full day of enriching and inspiring sessions designed to help you advance your career. 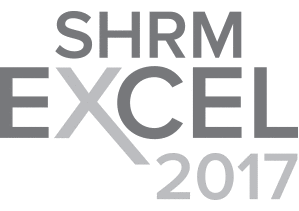 We have an excellent program planned, with varied topics from how to develop and execute a strategic HR plan, to how to maximize internal employee career development to improve retention. Our expert speakers are looking forward to offering you key take-aways that will leave you feeling inspired! You’ll have plenty of time during the conference to meet new people, catch up with old friends, build new relationships and make community connections to further your personal and professional goals. Plus, stick around for the reception for your chance to win exhibitor door prizes and participate in the speaker book signing. This program has been approved for 6 recertification credit hours toward PHR, SPHR and GPHR recertification through the HR Certification Institute. 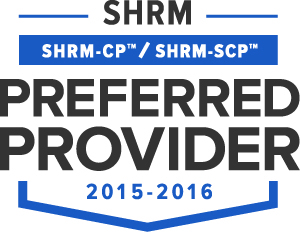 Credits also count towards SHRM-CP and SHRM-SCP through LWHRA's SHRM Preferred Provider status. Tuesday, February 17 | 1 p.m. – 4 p.m.
Wednesday, March 11 | 12:30 p.m. – 3:30 p.m. The WorkForce Readiness Committee is looking for volunteers to support two upcoming events: the annual “Youth Education, Career & Resource Fair” at the Seattle Goodwill, and for the “Career Smarts” event on the South Seattle College Campus. Volunteer responsibilities range from event set-up and take-down, to one-on-one career coaching sessions with students. If you are interested in volunteering for either of these events, learn more. Employers are using internships now more than ever to recruit and "test run" the best candidates. But there are risks if the internship is not set up correctly. Learn how to structure your internship to comply with employment laws and how to team with universities to tailor your internship to your company’s needs. The speakers will address the newest trends in and benefits of internships, current law, and they will offer forms and tips to streamline and systemize the process. Join us for this informative program! It's not too late to join Lake Washington Human Resource Association in educating and supporting the local HR community in 2015 by becoming a 2015 Partner. LWHRA represents over 1,400 human resource professionals in the greater Puget Sound area including vice president and director level, consultants, business professionals, suppliers and students. We believe in working with companies and organizations on many different levels. If you are looking for a great opportunity with a vast audience, look no further!